The Minister of Budget and National Planning, Udoma Udoma, says Nigeria’s foreign reserves have reduced from $26.51 billion from the second quarter of 2016 to $24.74 billion in September. Mr. Udoma said this at the 57th annual conference of Nigeria Economic Society (NES) with the theme“the developmental state and diversification of the Nigerian economy’’ on Tuesday in Abuja. He said Nigeria had revenue and foreign currency concentration problems, adding that diversification was the only solution. The minister said due to four strategic pipeline terminals that were blow up, Nigeria had been unable to achieve its 2016 Budget production target of 2.2 million barrels a day. Mr. Udoma said in August, the country was barely able to produce 1.1 million barrels. “Last week production level rose up to 1.7 million barrels, still a far cry from the country’s target of 2.2 million barrel. Nine out of 10 people globally are breathing poor quality air, the World Health Organization said Tuesday, calling for dramatic action against pollution that is blamed for more than six million deaths a year. New data in a report from the UN’s global health body “is enough to make all of us extremely concerned,” Maria Neira, the head of the WHO’s department of public health and environment, told reporters. The problem is most acute in cities, but air in rural areas is worse than many think, WHO experts said. Poorer countries have much dirtier air than the developed world, according to the report, but pollution “affects practically all countries in the world and all parts of society”, Neira said in a statement. “Fast action to tackle air pollution can’t come soon enough,” she added, urging governments to cut the number of vehicles on the road, improve waste management and promote clean cooking fuel. A prominent Nigerian politician and leader of the All Progressives Grand Alliance (APGA), Maxi Okwu, has told President Buhari that his stand on the agitation for Biafra may not be democratic enough. According to Okwu, it would just do the federal government a great deal to democratically engage the agitators and come to a fertile ground for the progress of the country. President Buhari had recently said he would not engage in a referendum on the issue of Biafra as was being suggested by some Nigerians. There had been agitations by the Movement for the Actualisation of the Sovereign State of Biafra (MASSOB) and the Indigenous People of Biafra, with other groups springing up. Some of their protests and agitations have also turned violent following clashes with security operatives. 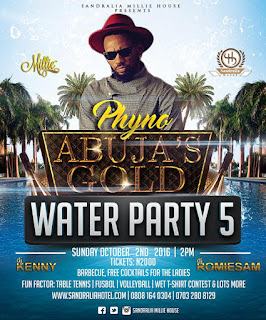 IT'S HERE AGAIN.......YOU GOTTA BE THERE!!! 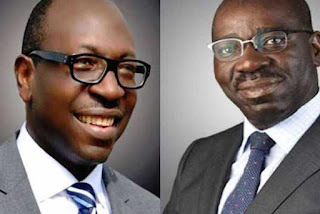 Ahead of tomorrows governorship election in Edo state, PDP has released a statement alleging that the opposition, APC is plotting with INEC to announce fake results after voting. Read the statement below As final preparations are put in place for the Edo State Gubernatorial Election which is slated to take place tomorrow September 28, 2016, it has become necessary to address a number of salient issues. We are aware that President MuhammaduBuhari has warned the INEC Chairman in private to ensure a free, fair and credible process in Edo State. We are also aware that the President has also warned the relevant security agencies to ensure a preservation of the peace in the State during the Election. However, despite these warnings, we have uncovered several plots between members of the All Progressives Congress (APC) and staff of the Independent National Electoral Commission (INEC) to manipulate the Election results. Valencia, 31, has been married to Zoila Meneses until recently and they both have a ten-year-old daughter. 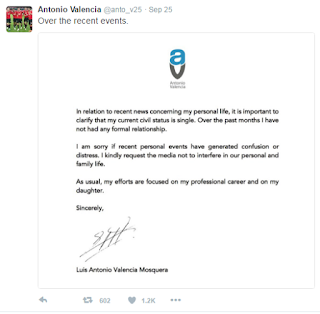 According to the footballer he's now single, meaning he didn't 'cheat' on his wife. See what he wrote on Twitter and pictures of the beautiful Norwegian beauty Sophie Vagsaeter he allegedly slept with after the cut. Public offices in Edo were shut on Tuesday as workers observed the two-day public holiday declared by the state government ahead of Wednesday’s governorship election in the state. The government on Saturday declared Tuesday and Wednesday as holidays to enable workers in the state to travel to areas where they registered as voters during election. The Federal Secretariat on Ikpoba Hill and the State Secretariat on Sapele Road and other public offices, including schools and the courts, in Benin were locked. However, health services were being rendered at the state Central Hospital, Benin, but some departments such as administrative and dentistry were closed. Public and private schools across the state also observed the public holiday. Private concerns, including the banks, which were exempt from the holidays carried on with their normal businesses. Katsina State Governor Aminu Bello Masari came to the aid of victims of a crash which occurred today. Governor Masari, who was on his way back from Adua immediately ordered vehicles on his convoy, to convey the injured to the hospital. He also directed officials to buy whatever is needed for their treatment. 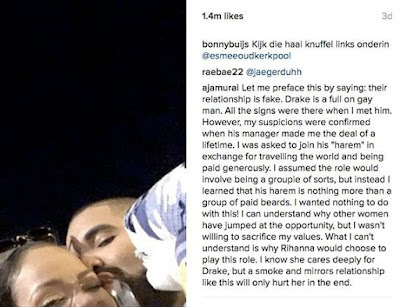 A woman who goes by the internet name of Aja Murai claims that Drake and his people approached her – asking for her to be one of his 'beards'. 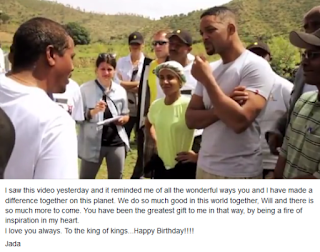 Jada Pinkett-Smith, 45, took to her Facebook page yesterday to wish her husband Will Smith a very special 48th birthday. She posted a one minute video of their charity organisation, showing what they do as a couple to help the world, (they help with bringing clean, safe drinking water to people in developing nations) and wrote a special message to her partner of 21 years. Photo: What Is Wrong With This? 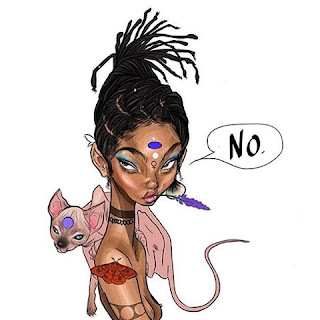 Will and Jada Smith's teenage daughter, Willow posted this animated photo of herself on IG over the weekend and got a lot of criticisms from people who felt she was too young to be posting explicit images of herself on social media. You see anything wrong with this? This is according to the Minister of Foreign Affairs, Geoffrey Onyeama who disclosed this via his twitter handle. 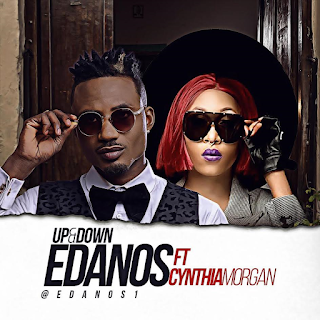 Edanos has shown his versatility on his previously released singles like; “Let’s Get Busy”, “Segengen” that was released towards the end of year 2015 and other addictive singles from the Royal Green Cash Entertainment act. The Lagos State police command has arrested the Special Anti Robbery Squad officer, who allegedly shot and killed an undergraduate of a polytechnic in Edo State, Joseph Eidonojie-Ugbeni. The officer involved in the unprofessional act was picked up on Friday. DAILY POST had reported that some SARS officers were chasing a notorious suspected Internet fraudster, identified as Badoo, who had parked his car and fled upon sighting the officers at Ogoja Market, along LASU-Igando Road. The operatives were said to have started shooting sporadically and one of the bullets hit Joseph who had gone to buy a drink with his cousin. It was gathered on Sunday that the officer that fired the shot had been arrested and taken to the scene of the incident. A source said the suspect had been detained. NYSC: What Is Happening In Bayelsa? National Youth Service Corps has raised the alarm over increasing deaths among those of its members serving in in Bayelsa state. The alarm was raised after another member, Ogundare Opeyemi slumped and died in the Nembe area of Bayelsa state. Punch reports that the deceased slumped a day after he had a party with his colleagues in the area of his primary assignment. “A day after the party, he complained of a health-related issue and before we knew what was happening he slumped and died,” a source, who craved anonymity told Punch. His remains were later picked up by his kinsmen from the mortuary of the Federal Medical Centre, Yenagoa where it was deposited, for conveyance to Ekiti, his home state for burial. Hundreds of corps members went in large number to the mortuary, crying uncontrollably as Opeyemi’s remains were removed from the facility. 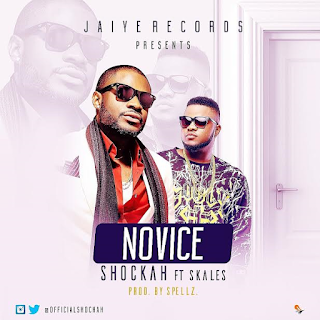 'Novice' was produced by Spellz & sees Shockah fuse with Skales to deliver a very good record. Here's a good song, with a great dancehall vibe, perfect to end the summer. A lot would be seen fro Shockah over the next few months, Listen to his collaboration with Skales & share. Nobel laureate Prof. Wole Soyinka has opened up on his discussion with President Muhammadu Buhari at the Presidential Villa, Abuja on Thursday, August 11, 2016. Soyinka’s meeting with the president on that day was scheduled as private and took place in the Buhari’s office. He arrived at the villa and went straight in for the meeting with the president. He declined to give further details but said he would hold a press conference on the discussions. Speaking in an interview with Sahara Reporters, the professor of Comparative Literature said although he initiated the meeting with the president, the discussion centered around the Niger Delta crisis, kidnapping of the Chibok girls (Boko Haram kidnapped 219 girls from a secondary school in Chibok town, Borno State on April 14, 2014), corruption and what he described as other peripheral issues. The Nigerian Army has reacted to the recent Boko Haram video showing the sect’s leader, Abubakar Shekau. Mr. Usman asked Nigerians to ignore the threats made by Mr. Shekau in the video including threats to attack cities like Maiduguri, Kano, and Kaduna. “We want to assure Nigerians especially the residents of Maiduguri, Kano, Kaduna and Zaria not to panic as we have more than what it takes to defend them and deal decisively with the remnants of the terrorists group,” the spokesperson said. The Army also reiterated its stance that Mr. Shekau was injured in an air raid; a statement many Nigerians have expressed doubt in based on the military’s numerous stance that Mr. Shekau had either been injured or killed in previous raid. The World Health Organisation, WHO, has set in motion the process of electing a new Director General in to take over from the current Director General, Dr. Margaret Chan, was appointed in 2006 and will complete her second term on 30 June 2017. The new DG will assume office July 1, 2017. In a statement over the weekend, the global health body released the names of six candidates short listed from nominations submitted by the WHO’s 194 member states in the past five months. Four of the proposed candidates are from Europe: Dr Flavia Bustreo (Italy); Professor Philippe Douste-Blazy (France); Dr. David Nabarro (United Kingdom); and Dr. Miklos Szocska from Hungary. Others are Dr. Sania Nishtar (Pakistan) and Dr. Tedros Adhanom Ghebreyesus from Ethiopia. All Progressives Congress (APC) governorship candidate in Edo Godwin Obaseki says the present economic recession in the country is a lesson for Nigerians to think fast and secure a brighter future. He spoke in Benin on Sunday at a forum where some members of students union in tertiary institutions across the state said they wanted to endorse him as their candidate for the state governorship election slated for Sept. 28. “To me, I will say the present economy crisis is a good omen for us. We need to think and act fast. “Spending more than17 billion dollars on food importation yearly should not be for country such as Nigeria because we have the resources. “We have the land and human resources that can produce same food we import, only if we can evolve policies that will make it for the youth to be effectively deployed to production,’’ observed. National Assembly members from Ekiti state are celebrating Governor Ayodele Fayose on the state’s first position in this year’s National Examination Council (NECO) Senior Secondary Certificate Examination (SSCE), saying the feat was a confirmation of the governor’s total commitment to the return of Ekiti state lost glory in the education sector. In a statement made available to NAIJ.com by the governor’s spokesperson, Lere Olayinka, the members said they were particularly happy that the state’s helmsman was able to perform the same feat that he performed during his first tenure. They added that coming from 10th position in NECO in 2015 to first position in 2016 as well as from 34th position in the West African Senior School Certificate Examination (WASSCE) in 2014 to 11th position in 2016 was an achievement that all sons and daughters of Ekiti state should be proud of. Four undergraduates of of University of Lagos (UNILAG) in Akoka were arrested on suspicion of their involvement in cultism. The arrest was conducted by the policemen from State Criminal Investigation and Intelligence Department (SCIID). The four were charged with two counts of conspiracy to breach public peace and being memebers of an unlawful secret society, known as Aloral Bucania. All suspects, Raheem Yusuf, 21, Adedoyin Adeyemi Abraham,24, Olanrewaju Idowu, 36, and Safraini Oluyemi Peters, 24, pleaded not guilty to the charges. According to the police, the four accused persons had conspired to cause breach of public peace on August 4 at about 9.30am, at room 318, Biobaku Hall of UNILAG. However, it’s unclear what exactly they were plannig to do. The prosecutor, Adebayo Oladele, informed the court that the offences are contrary to and punishable under sections 409 and 42(a)(b) of the criminal laws of Lagos state of Nigeria, 2011. Lagos State Governor, Mr. Akinwunmi Ambode on Saturday said the State has witnessed significant influx of investors and visitors in recent times, saying it was largely due to the aggressive upgrade of infrastructure, especially road construction and rehabilitation. Governor Ambode, who spoke in Somolu Local Government at the climax of the inauguration of 114 roads constructed across the 20 Local Government Areas (LGs) and 37 Local Council Development Areas (LCDAs), said each infrastructure provided has further improved the status of Lagos, both locally and internationally. The Governor who was represented at the commissioning of two of the 114 roads-Okesuna and Anifowoshe roads, in Somolu LG by the Commissioner for Tourism, Arts & Culture, Mr. Folarin Coker ,said from provision of security apparatus, roads, ‘Light Up Lagos’ project and other infrastructure has further improved the confidence of tourists and investors in the State. Four members of Al-Qaeda’s Yemen branch, including a local commander, were killed in a suspected US drone strike on a vehicle travelling east of the capital Sana’a, two local officials said today. The attack occurred in Marib province, controlled by forces loyal to exiled President Abd Rabbu Mansour Hadi, late last night. A local commander of the militant Al-Qaeda in the Arabian Peninsula (AQAP), known as Abu Khaled Al-Sana’ani, was killed along with three associates, the officials said. It was the second drone strike in two days to target a local commander of the militant group regarded by US officials as one of the most dangerous branches of Al-Qaeda active in the world today. On Thursday, a drone strike on a vehicle in Al-Bayda province in central Yemen killed a senior AQAP leader known as Abdallah Al-Sana’ani, identified as a regional commander of the group. Today, at the early hours of the morning, suspected militants led by the declared wanted criminal kingpin, Benjamin Simplee (AKA G1) leader of the Bakassi Strike Force, in several speed boats attacked troops deployed at Efut Esighi waterfront in Bakassi LGA of Cross River State. During the attack, a soldier was killed in action, while 2 soldiers were missing in action. They also burnt a buffalo pickup vehicle. The troops have also killed 2 of the attackers while the rest escaped with gun shot wounds. However, the reinforcement sent have found the missing soldiers. In addition, the troops location have been reinforced with more gunboats and air component. The clearance and pursuit operation is on going. We would like to assure the public that this singular act would not deter us from the discharge of our duties, therefore, the perpetrators of this dastardly act would be found and brought to justice. Former first lady, Patience Jonathan whose bank accounts have been frozen by the Economic and Financial Crimes Commission (EFCC) has disclosed the source of funds in her frozen accounts. Patience Jonathan claims that two of the accounts belonged to her late mother, Madam Charity Fyneface Oba. Counsel to the first lady, Charles Ogboli who disclosed this on behalf of his client on the Channels Television discussion programme, Sunrise, said that only three of the five accounts in dispute could be traced to the former first lady and her mum. According to the circulation, on Friday afternoon, September 23, the terrorist threatened to wreck monumental havoc through ceaseless bombings of the institution, beginning from Saturday, September 24. This Day reports that the institution was threatened by the terrorist for being the first university in the country that brought in and entrenched western education in Nigeria. The threat has thrown the university in a state of confusion as both teaching and non-teaching staff were in panic mood as they discussed the messages which was now widely circulated within the university community. It was gathered that while some lecturers got the mail through their institutional e-mail addresses, others were copied through social platforms such as WhatsApp. 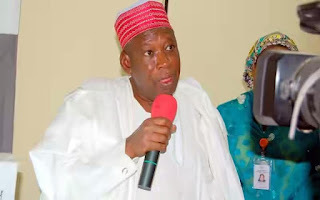 In a statement signed by Mustapha Fagge, Public Relations Officer, Office of the Head of Service, Kano state, civil servants in the state who are yet to be paid have been warned not to stage protests. “The attention of the office of the Head of Service has been drawn to a text message being sent through social media to workers who have not received their salary. “The message calls on the workers to assemble at Audu Bako Secretariat on Friday, Sept. 23 in order to protest,” the statement said. 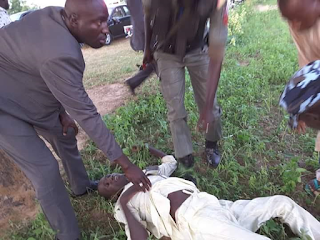 While urging the workers to disregard the text message, it said that security agents had been alerted to deal ruthlessly with any person or group that participated in the illegal protest. The statement also disclosed that those sending the text message were workers who had perpetrated fraud in the payment of salaries over the years. It explained that all issues of unpaid salaries or outstanding salaries were with the Ministry of Finance receiving attention. Democratic Alliance leader Mmusi Maimane turned against the party’s most influential constituency – whites - in his Heritage Day address near Soweto on Saturday. Maimane‚ whose sharp tongue had always been reserved for the ANC‚ instructed white members of the party to start learning to speak African languages. There are few white DA leaders who speak African languages comfortably. Among those who can are Western Cape Premier Helen Zille‚ Nelson Mandela Bay Metro mayor Athol Trollip and and Gauteng leader Mike Moriarty. Maimane in his address at a disused mine at Langlaagte‚ where several illegal miners died underground recently‚ was almost tempted to make it compulsory for DA members to learn to speak other languages other than English and Afrikaans. The chief of the Iranian armed forces, Major General Mohammed Bagheri, said that his country had been employing the military expertise it had acquired since the Iran-Iraq War to reinforce its power over five Arab countries, Moheet.com reported on Friday. In a military parade marking the 36th anniversary of the almost eight-year war against Iraq that began in 1980, Bagheri and other military leaders stressed that Iran still faced military threats in the region, including US forces that operate in the Arabian Gulf area. A man thought to be a British national has been charged after a dismembered body was discovered in a freezer during an anti-gang raid in the Thai capital of Bangkok. Police found the chopped-up remains during an operation against a suspected passport forgery ring in the city. The man arrested is said to be an English speaker in possession of both UK and US passports - though it was not clear if the documents were genuine. Two other men aged 33 and 66 who were in possession of US passports have also been held. Police said that one officer was shot as they staged a raid on a sprawling four-floor building in the city's Phra Khanong district which led to the human remains being discovered. We managed to find a big freezer. We opened it and found a dead body inside it. The body was chopped into different parts. It was concealed in many rubbish bags and put in the freezer. Tension was high yesterday when the Military Joint Task Force in Anambra State swooped on over 300 members of the Indigenous People of Biafra (IPOB) and members of the Movement for the Sovereign state of Biafra (MASSOB) at Atta junction, Onitsha. The IPOB and MASSOB members were more organized this time around and they dispersed rather than engage the armed security agents and none of the 300 members were arrested by the joint task force. The Military Task Force blocked the Niger Bridge allowing only one lane to enable them tackle the protesters some of who might be coming from the Asaba end. The sit-at-home order was successful in Onitsha and Nnewi but partial in Awka. In Onitsha markets were shut and in the few were open, traders were scanty as many preferred to stay out of danger zone. This is even as MASSOB leaders hailed Biafrans for complying and adhering to their call to stay at home. The Chocolate City Entertainment Company has said it invested almost N20 million on its former artiste, Ashimi Olawale Ibrahim (popularly known as Brymo), but failed to recoup up to N3 million according to court documents made available to PREMIUM TIMES. The music label and singer have been embroiled in a legal tussle since 2013 over allegations of breach of contract. Brymo left Chocolate City in 2013 shortly after the release of Son of A Carpenter, his debut album on the label, accusing the company of failing to promote the record. The music company, on the other hand, said the artiste breached a five-year contract that required him to release three albums between 2011 and 2016. In a court document deposed at the Lagos Division of the Federal High Court, Brymo (the defendant) accused his former label of short-changing him, saying he never received any advance as agreed in his contract for the development of the album Son of A Carpenter.